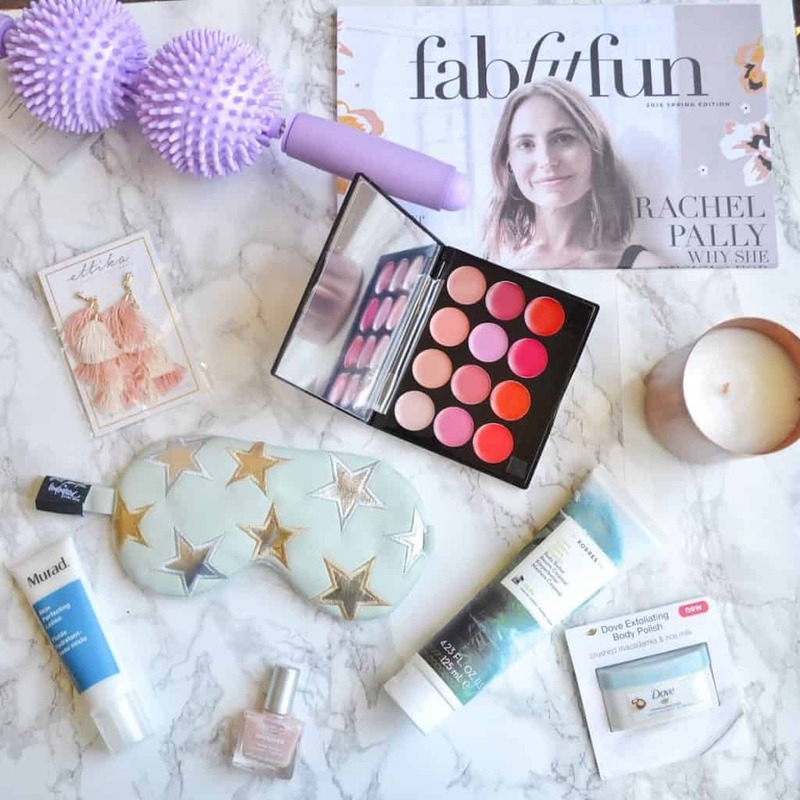 FabFitFun is a quarterly subscription box that sends out a mix of beauty, wellness, fashion, and fitness products. 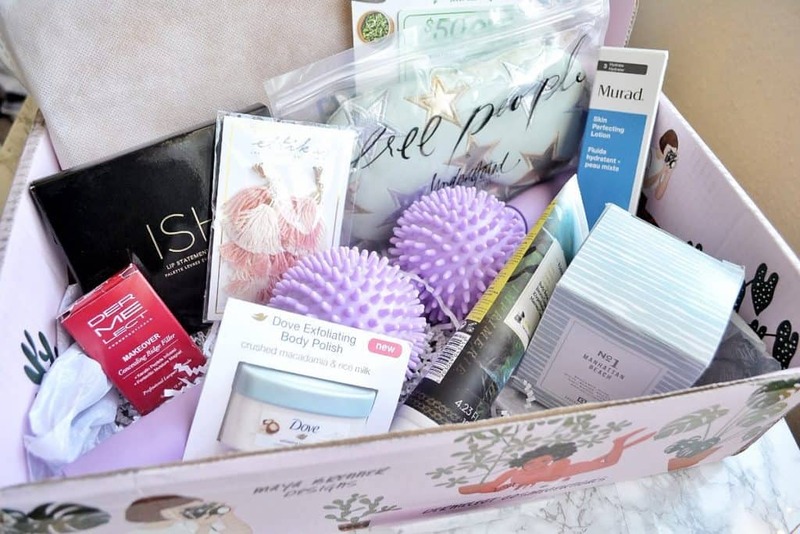 This is a wildly popular box, because the products are luxurious and you receive over $200 worth of goodies for $49.99 per box. 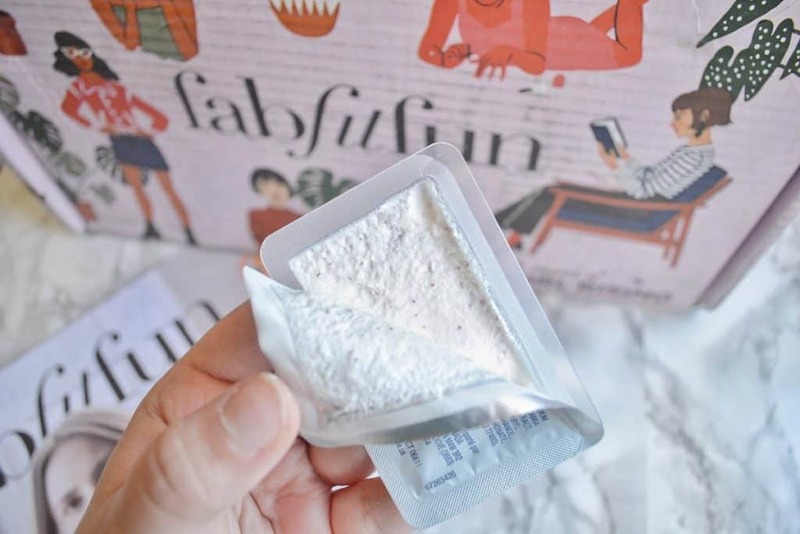 I loved the Winter FabFitFun box, and today I will be reviewing their Spring box! If you love what you see, there is still time to sign up for the box. Here’s a peek inside of the box! It was absolutely packed with cute, fun products. 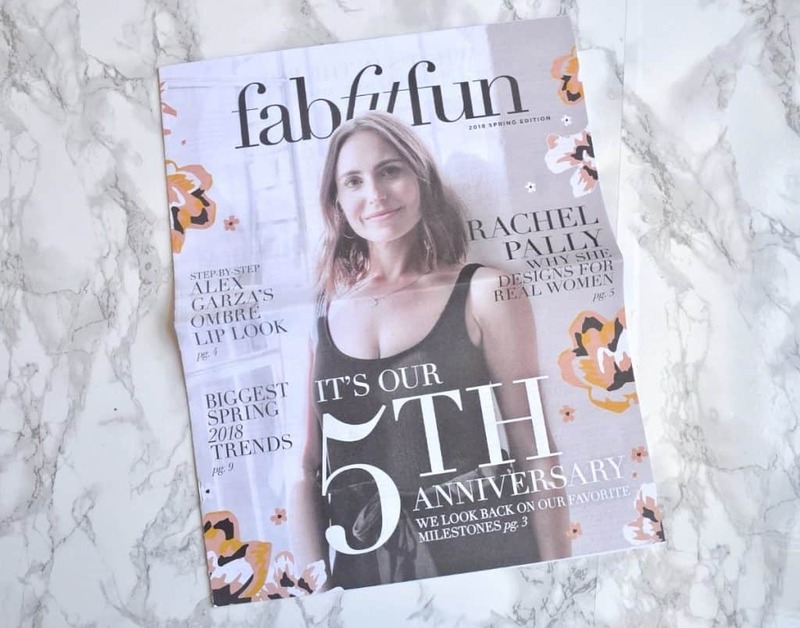 Each FabFitFun box comes with a mini-magazine, packed with information about the products, and interviews with collaborators. 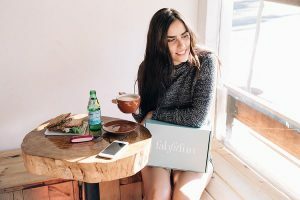 I think this goes above and beyond the information that a lot of subscription boxes provide. Okay, let’s take a look at each item! I have a slight candle addiction, so this Manhattan Beach candle from Anderson Lilley was the first item I reached for . It is packaged in I a trendy copper jar, which matches my room decor. It is made with a hand-poured coconut wax blend, and has a cotton-lead free wick. The candle notes are bergamot, musk, white jasmine, Brazilian soft woods, citrus, and heliotrope. This actually does smell quite beachy – I will probably save this candle for when the weather warms up some. 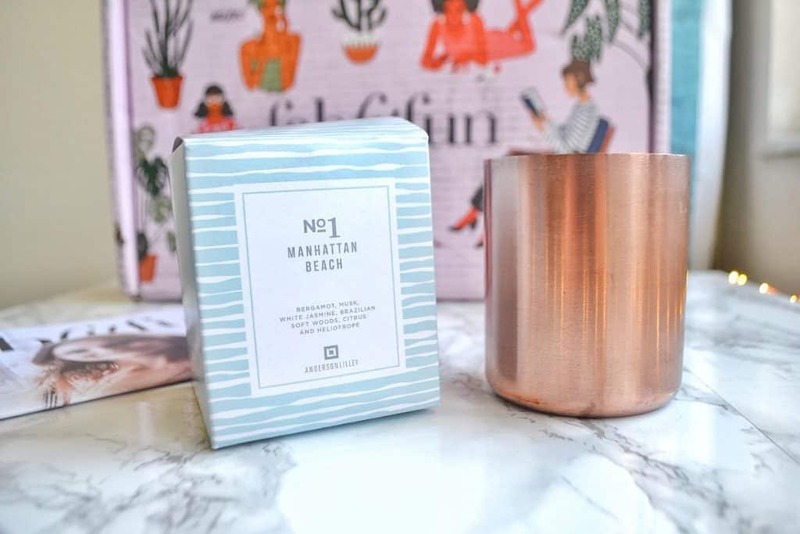 All subscribers will receive a Manhattan Beach, Fresh Linen, or Super Bloom scented candle. Each are worth $45. The next item I received was a Rachel Pally Reversible Clutch in a Bloom pattern. This is a bright, gorgeous reversible clutch. 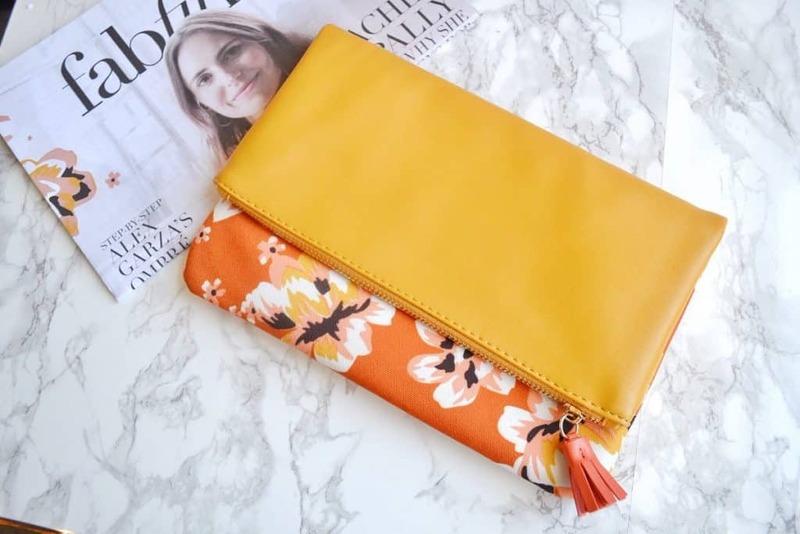 The front of the clutch has an orange floral print, and the back is a solid yellowish orange. You can fold over either side to reveal more of the print, or more of the solid color. This makes it compatible with a greater variety of outfits. I love how bright this is, and the floral pattern is perfect for spring! All subscribers will receive a Rachel Pally Reversible Clutch in a Bloom, Zahara, or Paradise pattern. Each are worth $60. 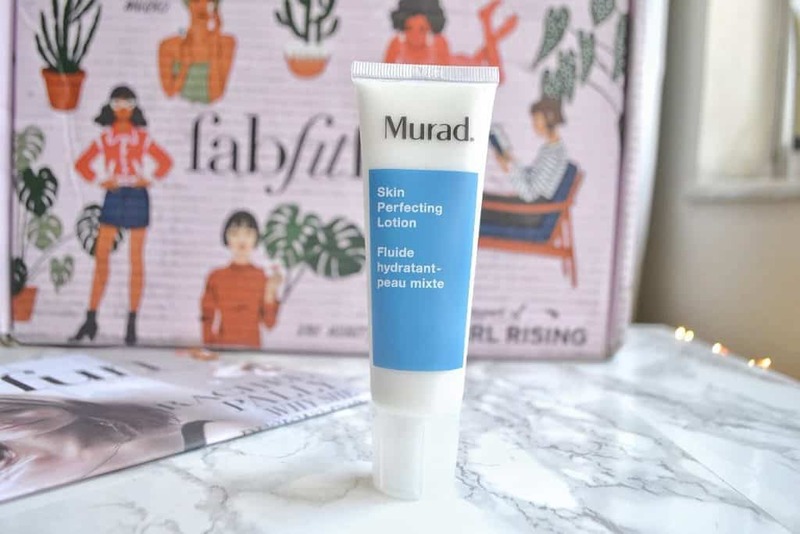 Another item all subscribers will receive is a Murad Skin Perfecting Lotion. This is a light, oil-free moisturizer with a mild fragrance; it feels amazing on my skin, locks in hydration, and soothes my redness. The bottle is worth $40. 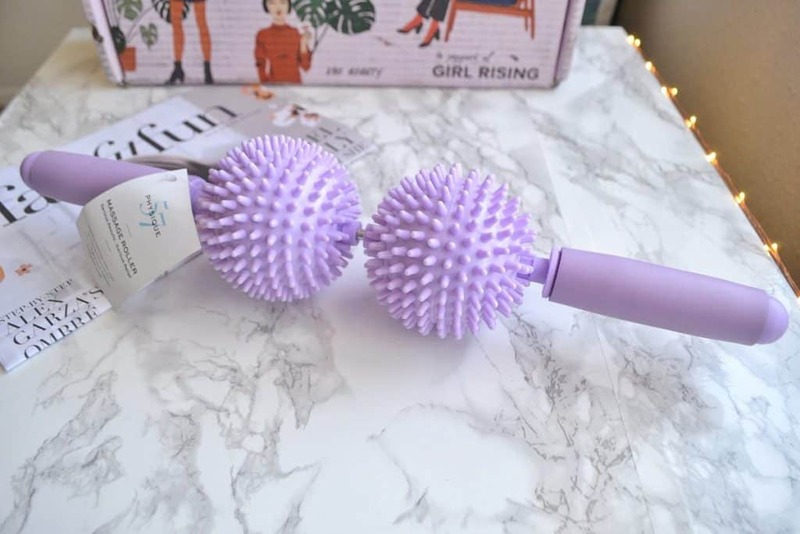 The next item befuddled me when I saw it in the box, but it turned out to be a Massage Roller from Physique 57. I am really excited to use this! I have had a knot under my shoulderblade for six months, and this is a good way to massage it myself. Normally I have to rely on begging my friends to massage it for me, because I can’t reach it with my hands. All subscribers will receive this, and it is worth $20. 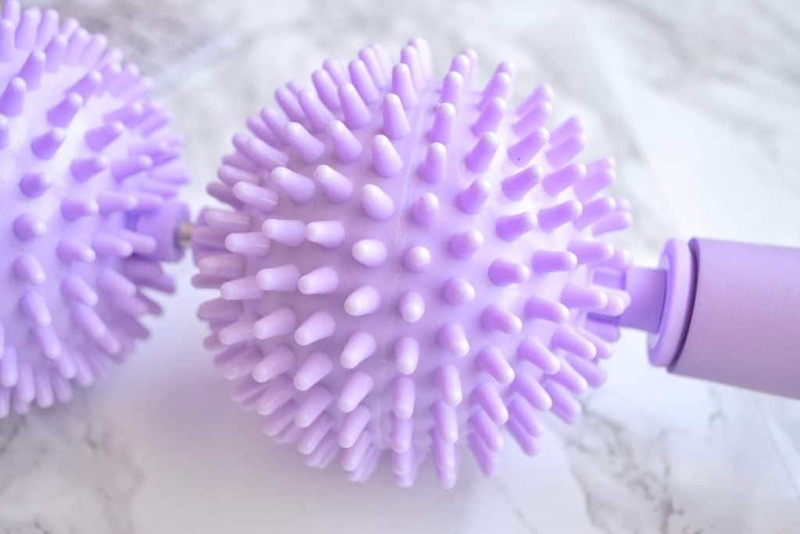 These little spokes work wonders for achy muscles, and the roller is great to use the day after a tough workout. All subscribers will receive a Dermelect Cosmeceuticals Makeover Concealing Ridge Filler, worth $18. 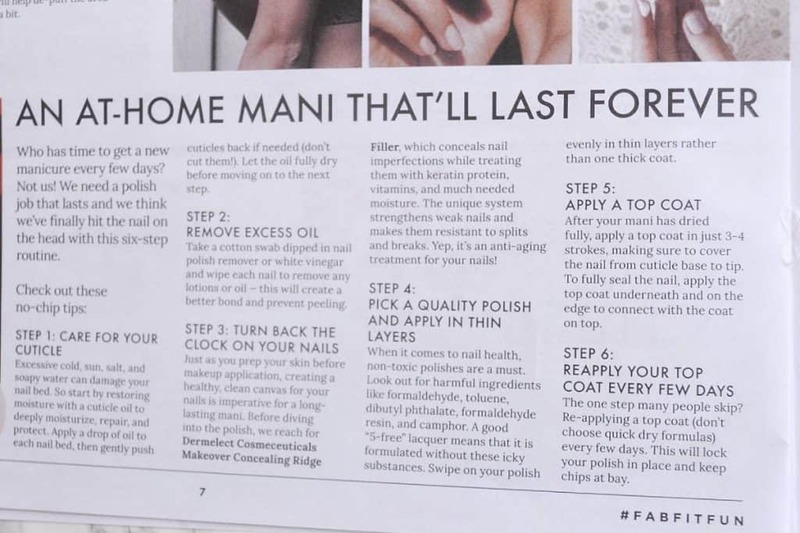 This can be applied as a base or top coat, or alone on your nails. I usually don’t wear nail polish, so I applied this alone. It has a subtle glossy pink sheen, and treats my nails with protein, vitamins, and moisture. 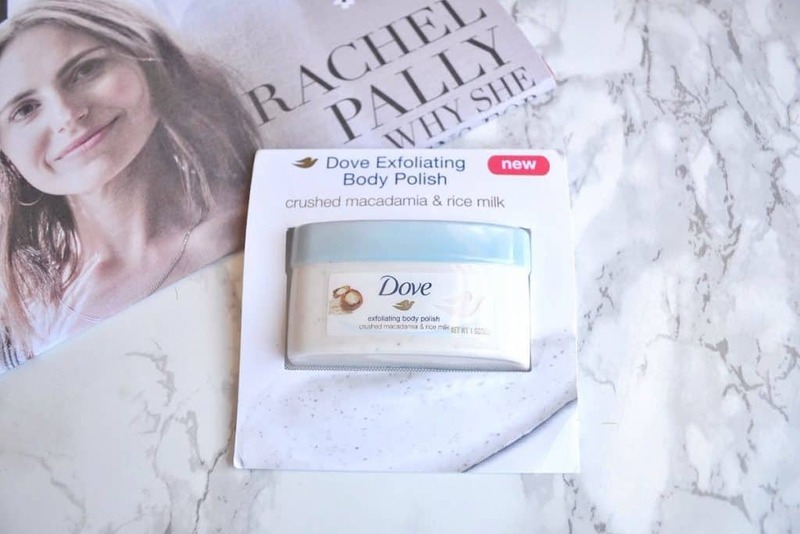 Another item that all subscribers will receive is a Dove Exfoliating Body Polish, which contains rice milk and macadamia. This looks like a little tub, but it is actually a cleverly packaged foil packet. I could not find a price for the sample size body polish. The body polish smells SO good, and feels amazing when you use it in the shower. It does a great job of polishing off dead skin and leaving my body feeling smooth and silky. 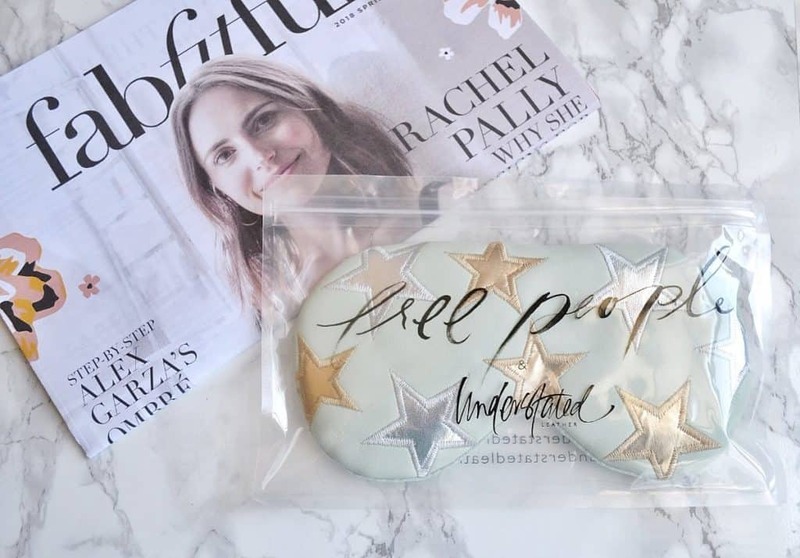 Probably the cutest item in the box was a Starry Eyed Travel Eye Mask from Free People. 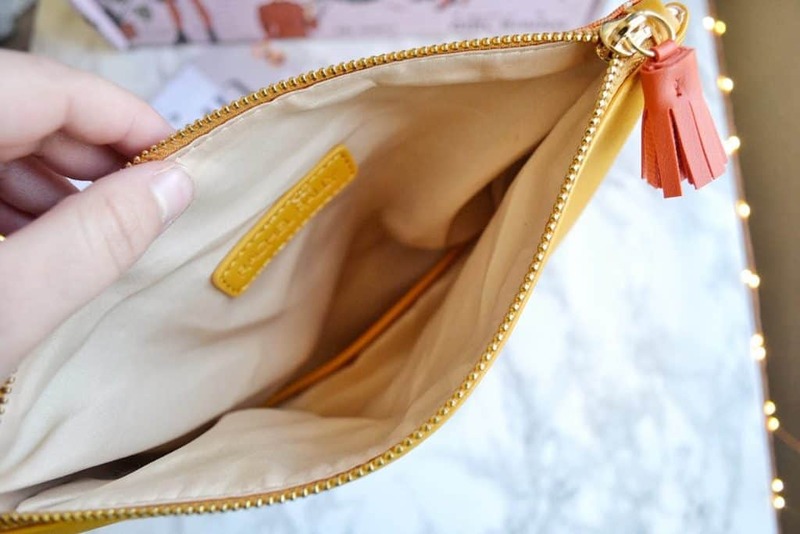 This is made of vegan leather, and contains removable gel packs. You can stick them in the freezer for a few minutes to enjoy a cooling effect. 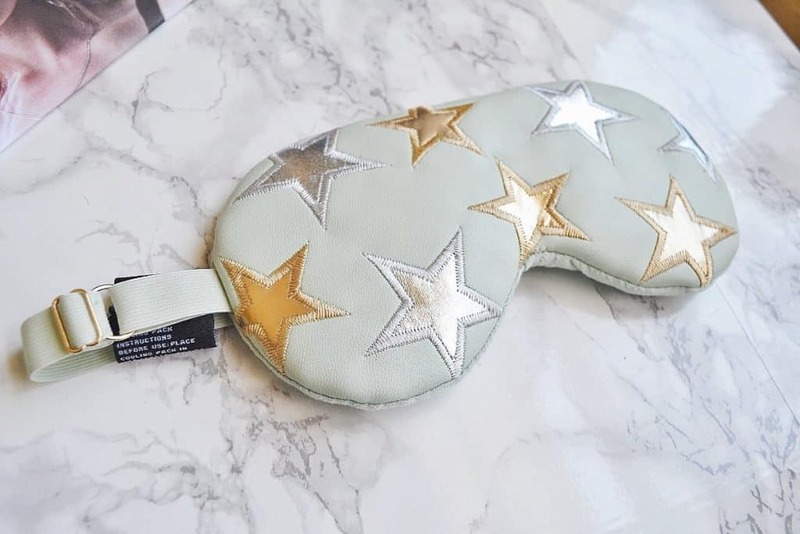 I think this starry pattern is just the cutest, and this is perfect for travel! Each subscriber will receive a starry mask, either in pink, blue, or white. Each is worth $40. 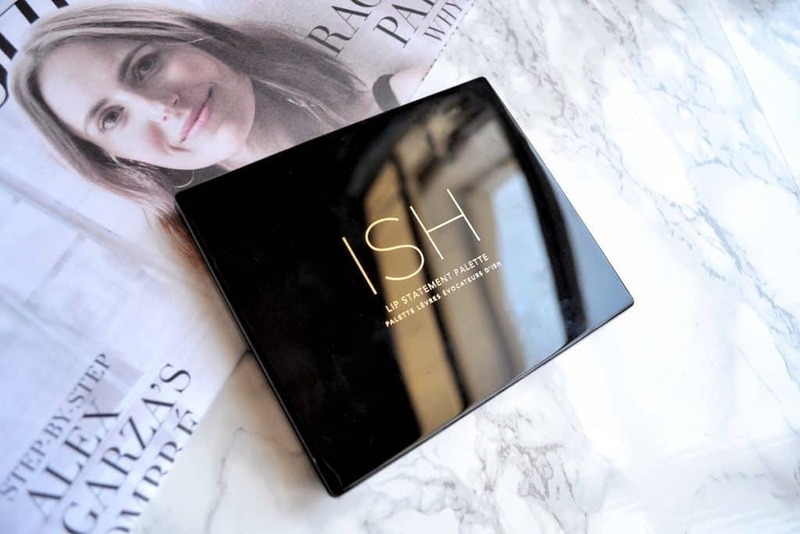 The final item that all subscribers will receive is the ISH Lip Statement Palette. 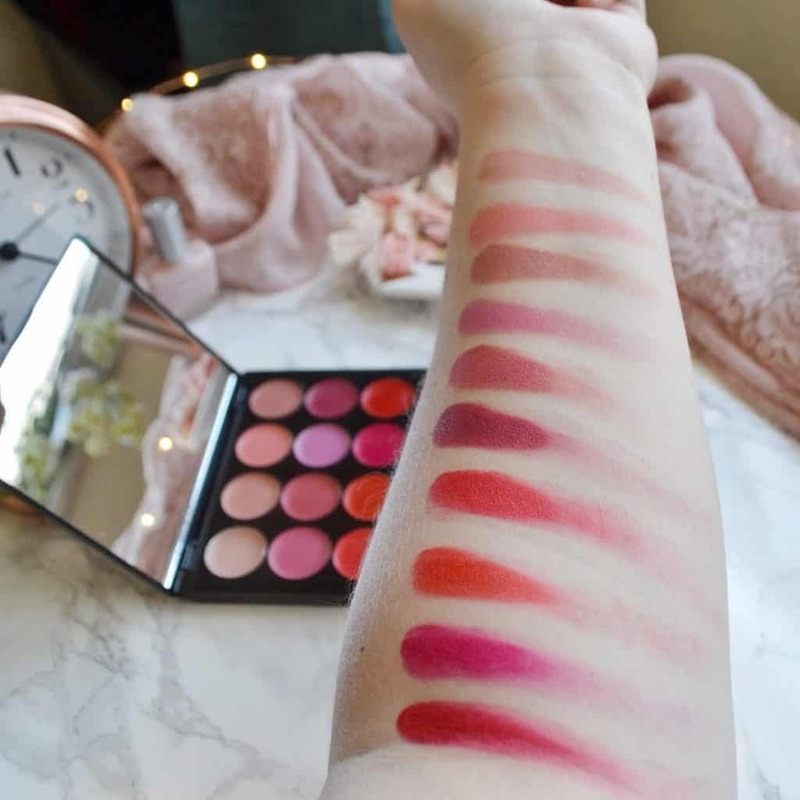 This lip kit contains 11 intensely pigmented shades in various shades of pink and red, and one sheer balm. These are very creamy, and contain rose extract, shea butter, jojoba oil, olive oil, and aloe vera oil to moisturize your lips. 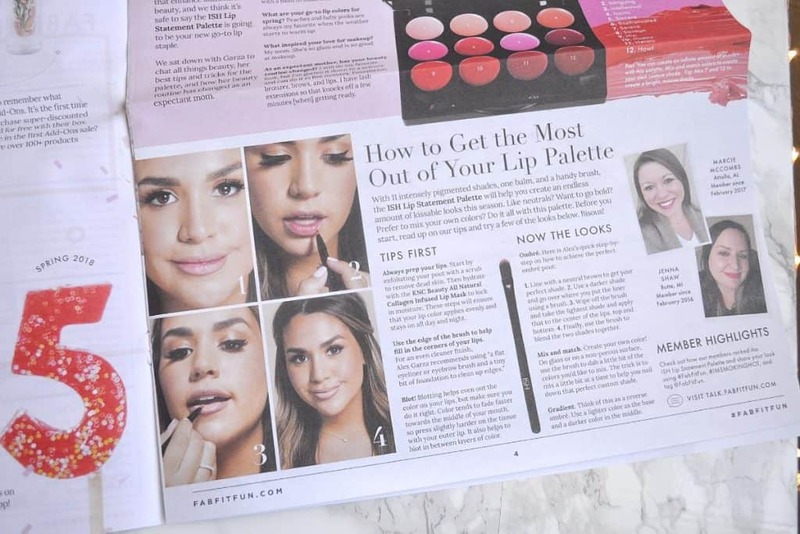 The Lip Statement Palette is worth $42, and subscribers will also receive a code for 20% off ISH orders. Just look at that pigment! The remaining two products are choice items. Subscribers have two beauty choice items, and two jewelry choice items. Just pick which one you want! My beauty choice item was KORRES Guava Body Butter, which is worth $24. 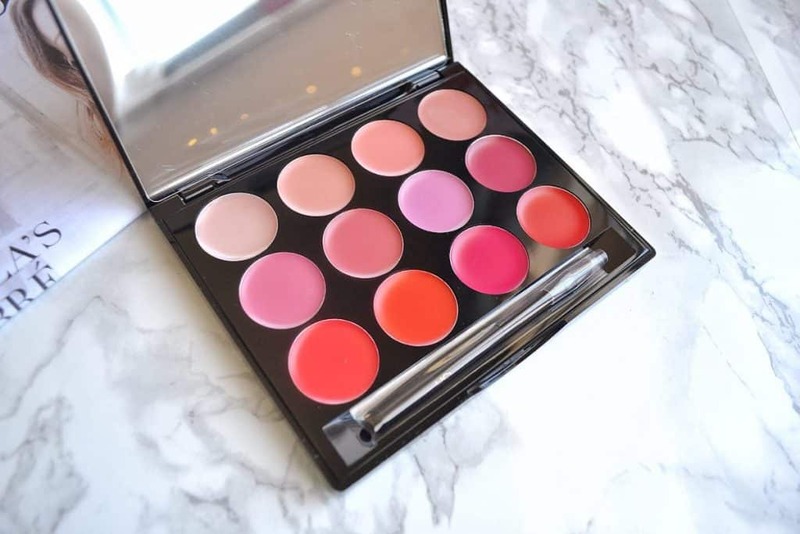 The other beauty choice item is KNC Beauty All Natural Colagen Infused Lip Masks; I have tried these in a different subscription box, and I didn’t really like them. 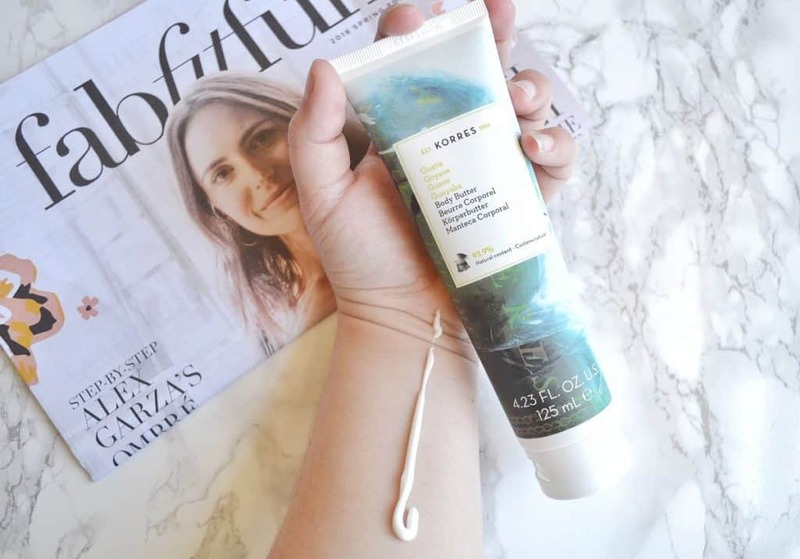 The KORRES Guava Body Butter has a fruity, tropical fragrance that I love! However, it is a little too greasy for my tastes. 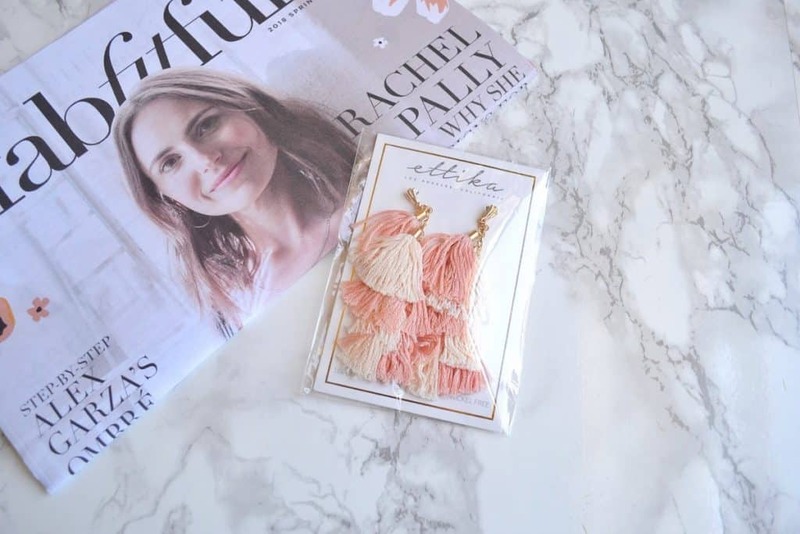 My jewelry choice item was Ettika Day Dreamer Tassel Earrings, which are worth $58. The other jewelry choice is a Maya Brenner Design Love Bracelet. 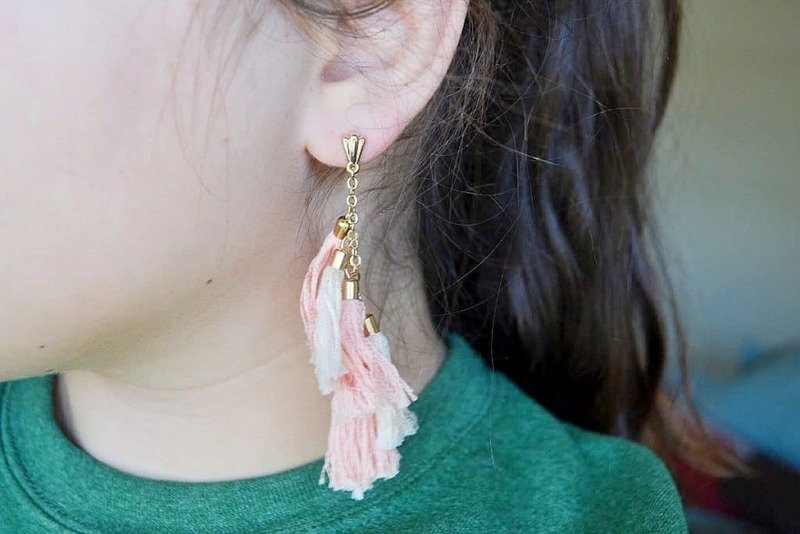 These are definitely statement earrings, and the pink tassels bring a pop of color and whimsy to an outfit. 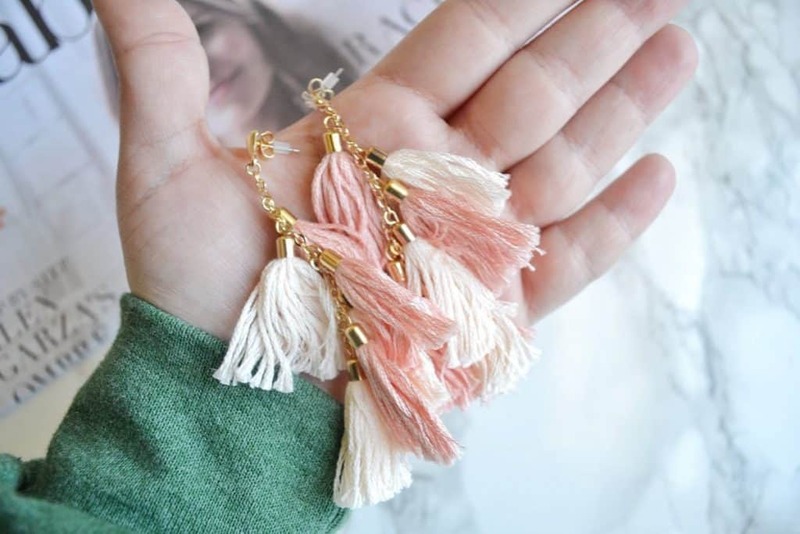 These are quite different from earrings that I usually wear! I have been trying to go out of my comfort zone in accessories lately. I think they are quite fun, and I plan on wearing them to jazz up my outfits. 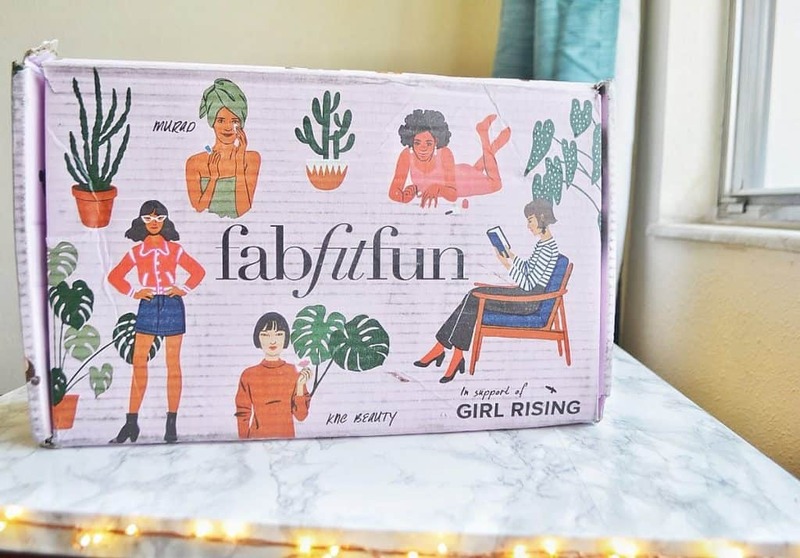 Way to go, FabFitFun! I really liked Winter 2017's box, but Spring 2018 was even better. 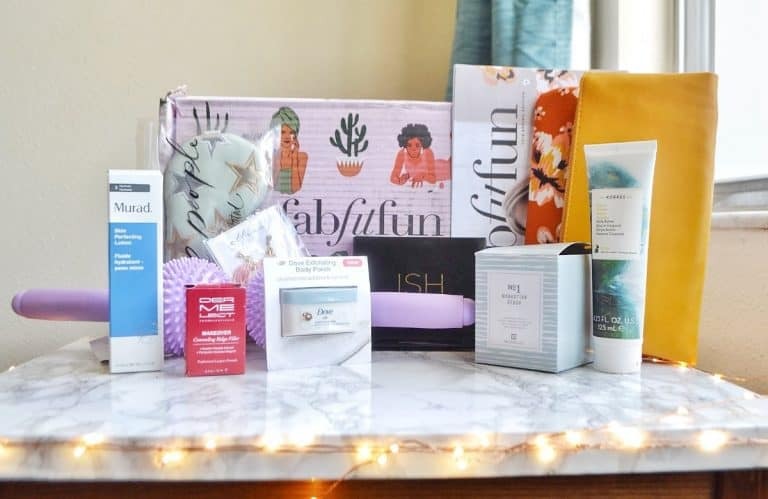 The value was incredible, and I found so many new favorite products.